Cruises give you a great opportunity to enjoy every city to the fullest. Enjoy this completely private shore excursion of Pompeii and enjoy their most important monuments and sights. Don’t miss a chance to get to know the archaeological site of Pompeii and everything it has to offer next to your private official tour guide and comfortably in your private luxury vehicle with a separate chauffeur. Don’t miss the chance to get to know one of the most well preserved archaeological sites in the whole world with a private specialised tour guide! Important monuments and sights: Amphitheater of Pompeii, Thermal baths and the whole Pompeii archaeological site! Once you reach Naples, enjoy this private tour to the archaeological site of Pompeii and its beautiful city. Enjoy this private tour with your own private official tour guide, comfortably in your private luxury vehicle with chauffeur. Your private driver will be waiting for you at the port of Naples with a sign of your name. Like all our tours, this private tour is a completely personalized tour. We are able to arrange it to fit your own personal needs and desires. If there is something you have in mind, please let us know and we will do our best to arrange it during your private tour. The exact tour duration is completely flexible. Below is our private Pompeii tour for 4 hours, but we can organize the tour duration exactly as you wish. In the year 79 A.D the mount Vesuvius, a volcano located close to Naples, erupted and covered the whole city of Pompeii with ash, being one of the most catastrophic eruptions in european history. A group of explorers discovered the site again in 1748, and saw that behind the ash, the old roman city of Pompeii was mostly intact. During this private tour you will get to know the historical and archaeological sight of Pompeii together with a private official tour guide. You will get to know the roman amphitheater, the shrine of Pompeii, the Forum of Pompeii and many more sites! 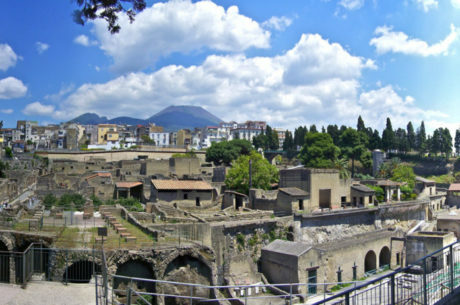 Entrance to the archaeological site of Pompeii is included in the price of this tour. During this private tour you will be able to enjoy Pompeii’s most emblematic sights and its great architecture as well as its well-known monuments. Each of our guides are official tour guides and are not only licensed but professional tour guides with great knowledge of the city and its history. Your private vehicle is a private luxury vehicle, a Mercedes Benz E Class, Viano or Vito, each with a separate chauffeur to ensure your official tour guides attention during the whole tour. We also have the option of a chauffeur/guide that is also a professional. 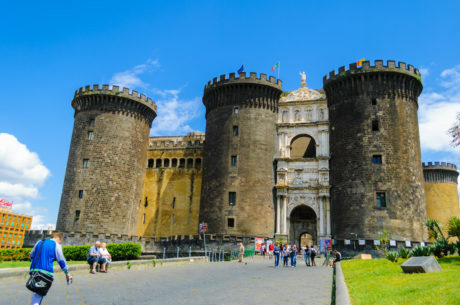 The tour has a duration of 4 hours from the moment of pick up to the moment of drop off in Naples cruise port. Naples is a city in southern Italy, the third biggest in Italy and a UNESCO World Heritage Site. Naples sits on the Bay of Naples. Nearby you can find the still-active volcano that destroyed the nearby Roman town of Pompeii, Mount Vesuvius. Don’t miss this unique chance to enjoy the opportunity to get to know a shore excursion or city tour of Naples and/or Pompeii.